Cisco Spark is a enterprise collaboration platform from Cisco that includes messaging, video conferencing, desk phones, and digital whiteboards to mention a few. 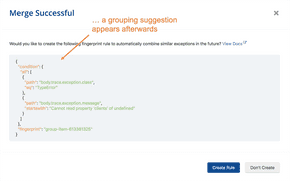 If your organization uses Cisco Spark, using Rollbar with it has just got easier. Depending on your setup, you can now receive Rollbar alerts not just in your messaging apps but also on that giant screen in the meeting room. As a Cisco Spark customer you've invested a lot in enabling enterprise collaboration. With this new Rollbar integration, you can further extend the value of the platform for your engineering teams. 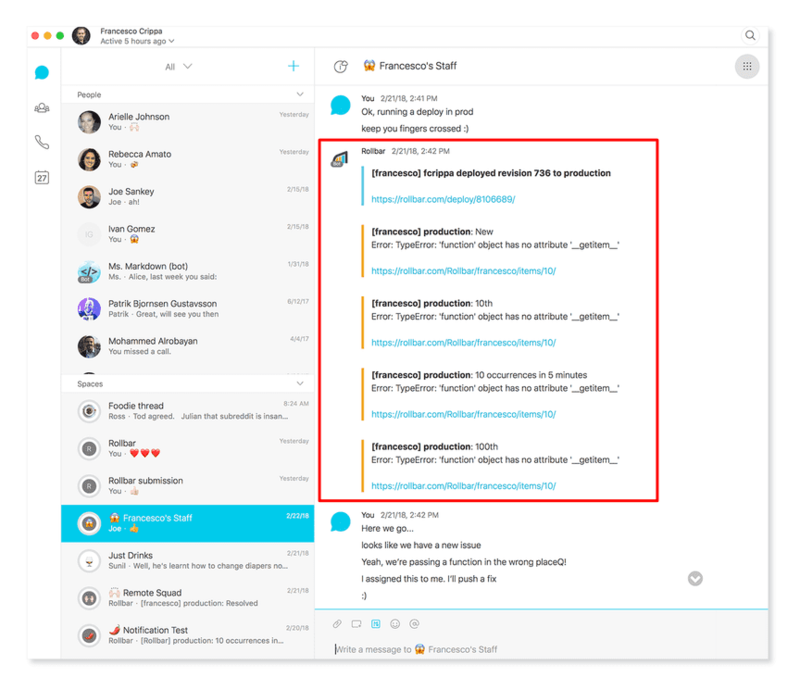 You can now get notified directly in Cisco Spark when certain situations occur, such as when a new error is detected by Rollbar, or when an error occurs at a very high volume within a specified time period. If you've enabled deploy tracking in Rollbar, you can also notify Cisco Spark of deploys. As always, you can customize what alert notifications Rollbar should send. 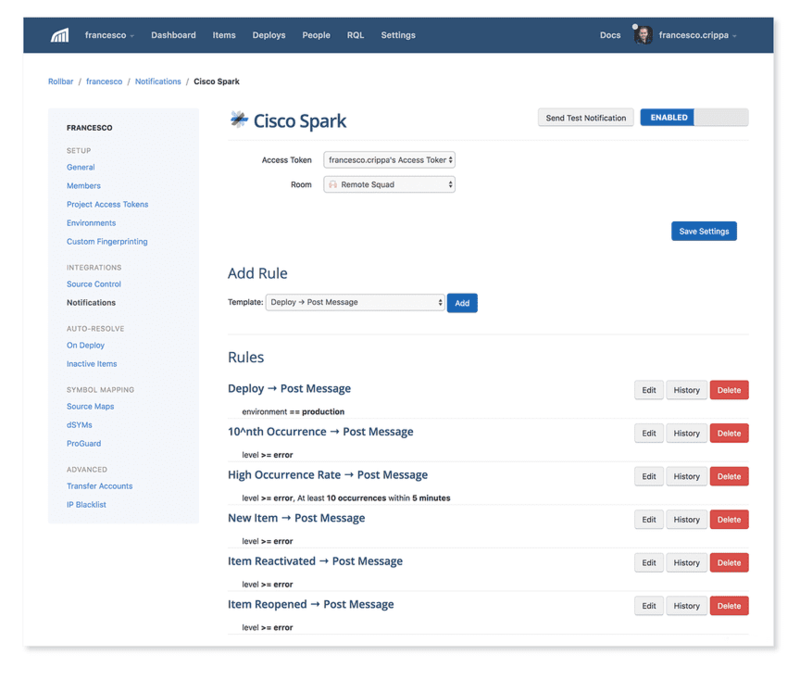 You can also configure which space in Cisco Spark the alerts should go to. For more instructions on how to enable this integration for your account, check out our Docs page. If you haven’t already, sign up for a 14-day free trial of Rollbar and reduce production issue resolution times.